We've thoroughly reviewed Lake Palace Casino and gave it a bad reputation rating. It's a bad online casino and we advise you to stay away from it. In our review, we've considered the casino's player complaints, estimated revenues, license, games genuineness, customer support quality, fairness of terms and conditions, withdrawal and win limits, and other factors. Because Lake Palace Casino is related to other online casinos listed below, its rating is also influenced by them. Read the full review below and learn more about this casino. According to our research and estimates, Lake Palace Casino is a smaller online casino revenue-wise. The revenue of a casino is an important factor, as bigger casinos shouldn't have any issues paying out big wins, while smaller casinos could potentially struggle if you manage to win really big. We currently have 0 complaints directly about this casino in our database, as well as 15 complaints about other casinos related to it. Because of these complaints, we've given this casino 817 black points in total, out of which 817 come from related casinos. You can find more information about all of the complaints and black points below. 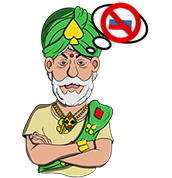 Lake Palace Casino appears on 5 blacklists that you can find below. We consider at least one of them to be fully relevant and serious, which is why we've deducted some points from our reputation rating because of these blacklists. As you can see from all of the information in our review, Lake Palace Casino is a bad online casino. We don't recommend playing at it and strongly advise you to stay away from it. We have conducted extensive research on the web and as a result we have found following 16 complaints on Lake Palace Casino or any brands that might be interconnected with it. Taking into account seriousness and credibility of these complaints and estimated size of casino revenues we decided to give Lake Palace Casino a Bad reputation.